iCoachkids Coach Education website is great for those coaching in youth sport: www.icoachkids.eu. There are a range of resources available. While some may appear to involve a lot of work, the advantage of such courses is that they can be done at a time that suits the participant. And obviously the better educated a coach is, the more likely they will enjoy their coaching and have success in keeping underage players happy in sport and maximising their potential. England’s online learning is organised into a range of programmes designed to target specific areas of knowledge. The Hockey Hub is a FREE one-stop shop, packed full of useful hockey resources. Whether you coach beginners, work with young, talented players or coach at a one team senior club, there is relevant content available to suit your needs. The Hockey Hub also has sections for teachers and umpires too! Once registered, you will be able to gain insight from senior coaches and players while learning how you can apply the Golden Thread to your coaching sessions. You can also engage with other coaches on our interactive forum as well as much more. The aim of the FIH Hockey Academy is to create an educated and professional global hockey workforce. 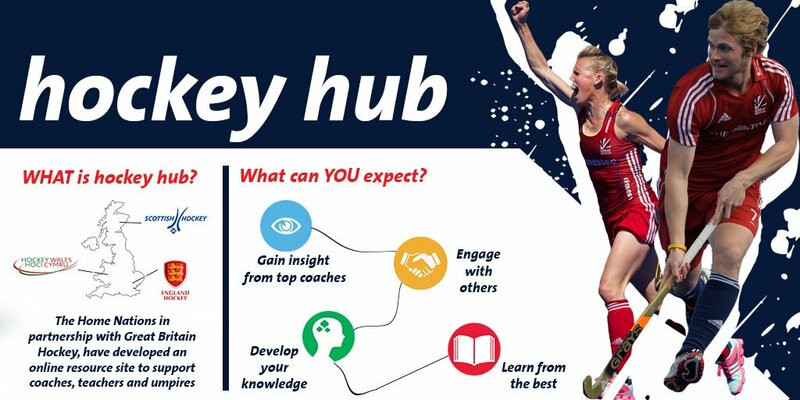 Here you will find a range of programmes, resources and tools designed to help support organisations and individuals; both those who are just learning about hockey and those looking to further their involvement, performance and knowledge of the sport. There are four key areas in the Academy: Play, Coach, Officiate and Manage. You can keep up to date on the FIH Hockey Academy via their Facebook or Twitter pages. The Long Term Player Development (LTPD) Model for Irish Hockey, “Hooked for Life”, provides an integrated framework to facilitate the development of Hockey players at all levels of participation and experience. The model is the player centred, coach driven and supported by administrators, officials and financial partners. “Hooked for Life” will ensure that the experience of training and playing the game is always appropriate for the developmental stage of the player involved and will assist players, parents, coaches, officials and administrators to make informed decisions about player development so that every child and adult can reach their potential and enjoy Hockey throughout their lifetime. The EHF education pathways provide continuing professional development with a range of World class contributors. Read more about the programmes below. Sportplan gives you access to the latest coaching ideas, practises and tactics. All demonstrated with animation or video. You will never be short of ideas again Hockey gives you access to the latest coaching ideas, practises and tactics. About ConnectedCoaches – You can’t get away with Coach Talk 24/7 with family and friends but you can come to ConnectedCoaches to discuss whatever’s on your mind – a challenging parent, someone who turns up late, engaging those who seem disinterested etc – whenever you like. People often say that a sport or activity changed their life. But when you ask what they mean, they talk about an individual, someone who supported them to be better, to be themselves or indeed to live the life they wanted. And that’s why UK Coaching is here to bring about great coaching to inspire an active nation.